The Northwest Arkansas Mom Prom is sponsored by local mom-friendly businesses. We couldn’t do it without them! By sponsoring a part of the Mom Prom, companies get promoted to a huge group of women and mothers who control and/or influence the vast majority of buying decisions. 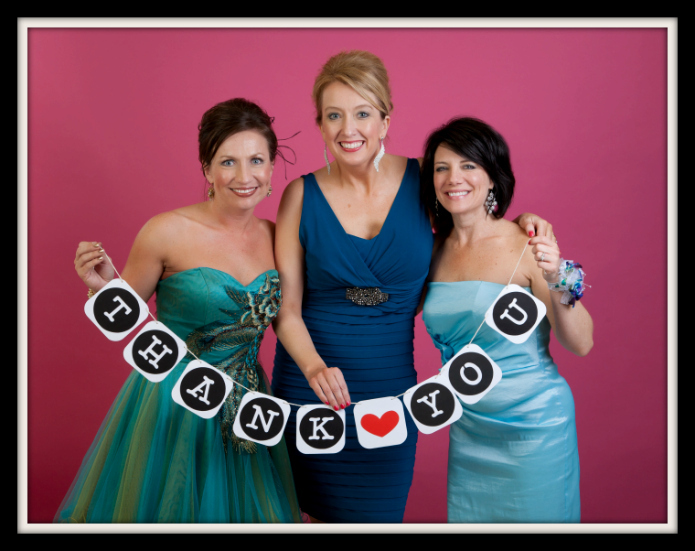 We promote Mom Prom sponsors before, during and after the Mom Prom event. For more info on becoming a sponsor, contact co-founders Shannon and Gwen at mamas@nwamotherlode.com. Please note that this year we will have only ONE sponsor per industry, in order to give sponsors more exclusivity and exposure. If your company has interest in Mom Prom, contact us asap at 479-409-8242. The early bird sponsors get the exclusivity! The 2018 Mom Prom wouldn’t be possible without the following sponsors. We thank them so much for their participation and support! Sam’s Club is one of our favorite places to shop because it feels like a treasure hunt every time. We never quite know what we might find that wasn’t there during our last visit — anything from a kayak to a new set of pretty dishes to use on the patio. The element of surprise makes it fun, and the savings we get as Sam’s Club members helps make those surprise finds more affordable. Even our kids are more than happy to go shopping with us because of those yummy “Taste and Tips” demos at Sam’s Club. We love the delicious food samples ourselves! Sam’s Club® is a division of WalMart Stores, Inc. and is a leading membership warehouse club offering superior products, savings and services to millions of members in 661 clubs in the U.S. and Puerto Rico. Click HERE to visit the Sam’s Club website and get more info. BrightHaven Christian Learning Center provides quality education in a safe, nurturing environment that promotes discovery, growth and enlightenment for infants, toddlers and pre-schoolers. Reviews from local parents are stellar! Founded by a local couple who were looking for high-quality childcare for their own son, BrightHaven keeps a laser focus on the social, physical, intellectual, emotional and spiritual welfare of the children they care for each day. Click HERE to visit the website and get more info. The Chancellor Hotel in Downtown Fayetteville is the location for the 2018 Mom Prom. It’s a gorgeous place! From the lobby to the bar to the hotel rooms, it’s elegant, chic and modern. On the night of June 1st, Mom Prom will be taking over the entire second floor of The Chancellor so we can spread out and party! There’s a huge ballroom for dancing and nearby open spaces for photography, food, drinks, raffle prizes and space to just sit and visit with friends in areas where the music isn’t loud. Many of the guests at Mom Prom turn it into a fun slumber party with friends, so now you can dance until the end of Prom and then simply take the elevator upstairs to your room! Or continue the party downstairs at the hotel’s gorgeous bar and lounge. The Chancellor also offers amenities including an indoor/outdoor pool, fitness facility, ATM, casual dining, nearby shopping, valet and garage parking, high-speed internet, concierge, and room service. This place is perfect for Mom Prom! The Chancellor is offering us a sweet deal of $109 on one of their gorgeous rooms. You have until May 8th to book! You can stay for one night — or two! Here’s the link to get the special deal: https://reservations.travelclick.com/96837?groupID=2138837#/guestsandrooms Click HERE to visit The Chancellor Hotel website to see photos and get more info. Sylvan Learning Center has helped so many kids in Northwest Arkansas, so we’re extremely proud to show them off as one of this year’s Mom Prom Mirror Ball Sponsors. Not only do they help kids of all ages and stages overcome learning hurdles, they also offer practical, day-to-day help for kids who are simply struggling to get some homework done. We think their “Homework Help” program is genius! Sylvan tutors can help with an extra tough homework assignment and can also help a student set up better study skills and minimize the frustration that so many moms see in their kids during homework time. Sylvan also offers advanced tutoring for exams like the ACT and SAT, which is a big deal for those of us with teenagers in high school. For more info on these programs and several others available, click HERE to visit the Sylvan website. The Northwest Arkansas Mall is where many of us go when we’re hunting for the perfect dress to wear to Mom Prom, so we’re thrilled that they’re joining this event as a Mirror Ball Sponsor this year. The NWA Mall is home to 100 specialty stores in addition to a food court, Dillard’s, JC Penney and Sears department stores. (It’s also the place where many of us take our kids to see Santa and the Easter Bunny!) The NWA Mall is open from 10 a.m. to 9 p.m. Monday through Saturday, and it’s open from noon until 6 p.m. on Sundays — plenty of time to find something fun to wear to Mom Prom. If you love a good sale like we do, click HERE to see the latest sales going on at the Northwest Arkansas Mall. Lisa Mac of Lisa Mac Photography was the first person we called after we decided to throw the very first Mom Prom in Northwest Arkansas in 2013. We felt strongly that great photos would be a huge part of what makes Mom Prom so successful and memorable, and we knew Lisa could make it happen. We are beyond thrilled to have her back this year as the Prom Photography Sponsor. You’ll be able to download your professional prom photos for FREE on Lisa’s website a few weeks after the Prom. Click HERE to see Lisa’s amazing portfolio of work, including maternity, newborns, family, graduation and more. The one-and-only Rick’s Bakery is providing all the sweet treats on this year’s dessert buffet! We are SO excited because, as most women in Northwest Arkansas already know, the desserts at Rick’s Bakery are the BEST. There’s a reason why so many of us are more than willing to make a 25-minute drive just to pick up a birthday cake or take home some of those amazing cupcakes, cookies, petit fours or muffins. And the pastry chefs at Rick’s are true artists. Their cakes are almost too pretty to eat — almost. (But that one-of-a-kind frosting and moist cake always convinces us to have a slice or three.) Rick’s Bakery has earned its stellar reputation in NWA and has been a favorite among pastry lovers since 1980. Click HERE to visit the website and see more of what Rick’s Bakery has to offer. The Mustache Goods & Wears is back this year to sponsor our popular Celebrity Prom Dates! These celebrities might be cardboard, but they are life-size and they love posing for prom pictures with the women of Mom Prom. If you haven’t shopped at The Mustache yet, you should fix this problem immediately. It’s a quirky little store (located on the Fayetteville Square and in Downtown Bentonville) and it sells things you won’t find anywhere else in NWA. 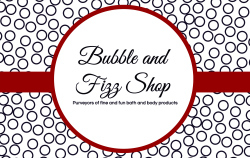 It’s a great spot to find a fun gift for your favorite people or yourself because the product line-up (including gift items, clothing, shoes and novelty items) is always thoughtful, unique and FUN. Click HERE to see what items are hot on their website right now. Our friends at Scott Frame and Art are the sponsors for this year’s printing needs. You’ll see some gorgeous Mom Prom photos printed by Scott Frame & Art as well as raffle tickets, signs and more. We went to Scott Frame and Art for printing because we know how high the quality of work is at their shop. (Our walls are full of family photos framed by this shop!) Scott Frame and Art has added a lot of new gift items in their stores in recent years, so it’s also a great spot to find something special for birthdays, anniversaries and more. Click HERE to visit the Scott Frame and Art Website. ZuZu’s Petals & Gifts is bringing gorgeous, fragrant flowers to this year’s Mom Prom ballroom! We’ve personally received some beautiful flower arrangements from ZuZu’s over the past few years, so we know you’ll be impressed with the flowers on Prom night. ZuZu’s (which is right next to Rick’s Bakery in Fayetteville) is a great place to call when you want to send flowers or a plant to someone for a birthday, new baby, congratulations gift, wedding, Valentine’s Day, Mother’s Day, prom corsage or any occasion that calls for something special. Click HERE to see some of the pretty arrangements on the store’s website. Our buddies at Rock City Outfitters sponsored Mom Prom t-shirts again this year, and that’s great news because they make the best shirts! (Rock City Outfitters is the genius behind the famous “Call Me” shirt that Razorback fans are obsessed with. Click here to see it.) We practically live in some of our past Mom Prom t-shirts because they are so butter-soft and comfy. This year’s shirt is a heather grey v-neck style with a simple logo on the front left chest and the Mom Prom sponsor info on the back. We think you’re going to love it. You can purchase one (with ALL proceeds going to the charity) when you get to the Mom Prom. You’ll find the shirts at the raffle ticket table. Click HERE to see all of Rock City Outfitters line of clothing. Our thanks to Kim Sharpe and her entire staff at Citiscapes Magazine for being the NWA Mom Prom media sponsor again this year. Citiscapes is Northwest Arkansas’ longest running and most widely circulated monthly city/regional lifestyle magazine. The magazine’s writers, editors and designers capture the essence of life in Northwest Arkansas with insightful writing and groundbreaking reporting and design. Citiscapes regularly reports on charitable events like NWA Mom Prom as well as local arts and culture, restaurants, stores, medical facilities, local movers and shakers, as well as ways to give back to the community. To see the latest features, click HERE to visit the Citiscapes website.